Or of course it is, and of course it isn’t! Thats the beauty of poetry, you can make of it what you will. This stuff is all about words, meanings and how we put things together; for example in the line above “make of it what you will” means to you can interpret something as you desire (“will” understood as the expression of the future tense) but can equally be read as you can make of it the thing you are going to make (“will” this time understood as the expression of an inevitable event). That’s the thing with poetry, it can be taken in different ways, the writer can decide whether to determine what the reader or listener is likely to hear or the poet can leave the reader to create their own interpretations. Anyway enough of this grammatical chicanery; a week is a long time in poetry. So is a week a long time in poetry? Sometimes it can feel that way as an anticipated event draws near and preparation is done at a nice leisurely pace, other times when there is to be too little time to prepare that week can fly by in what seems like an instant. 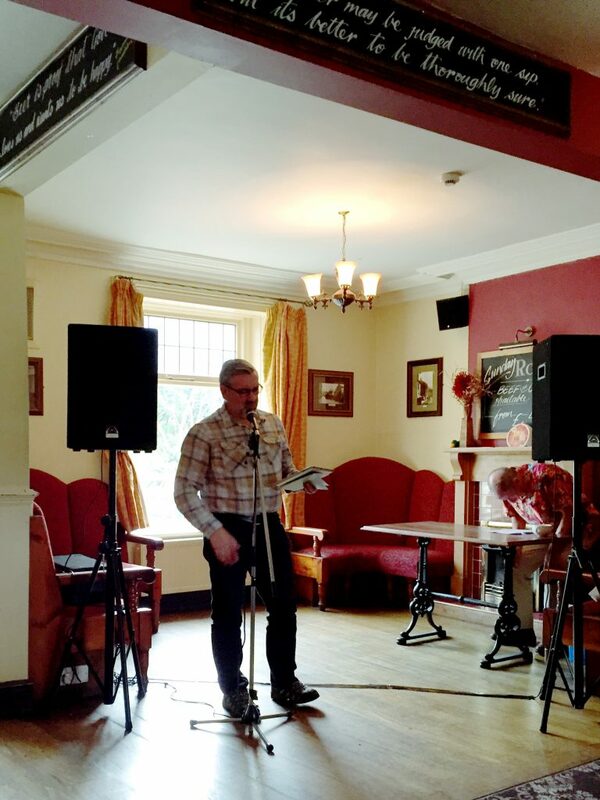 This evening we’ll be relaxing in Littleborough at Robin Parker’s open mic event (at the Red Lion from 7.30pm). Last year this was a really pleasant evening with the chance to see and hear some brand new poets and to catch up with a couple I’d not seen for quite a while. This event has the added bonus of being within walking distance from home. Tomorrow I may be delivering a workshop although even at this stage the exact details are still to be confirmed because I’ve been asked to step in as a last minute replacement for the facilitator who has been unable to take part. On Friday I’ll be heading off with my wife to see author Joanne Harris (writer of novels including “Chocolat” with her new book “Different Class”) as part of Rochdale’s Literary and Ideas Festival. Finally on Sunday as part of theFringe events for the 2016 Rochdale Literature and Ideas Festival I will be delivering a 20 minute set at Bar Vibe on Drake Street. The event will kick off at 11.00am with Steve Cooke opening and introducing Norman Warwick, back briefly from his retirement in Lanzarote, and a string of local talent in writing and music. I’ll be taking the stage at 13.10 and expect to bring some new and some old, some happy and some sad and of course I’ll probably change my mind depending on the prevailing mood of the event. So this week is a busy one poetically and that makes it feel like a relatively short week in poetry after all. This entry was posted in Events, Facilitation, Live poetry, My poems, poetry, The Business of Writing, Workshops. Bookmark the permalink.